Buy one, buy two, or get the full set of three for a special price. 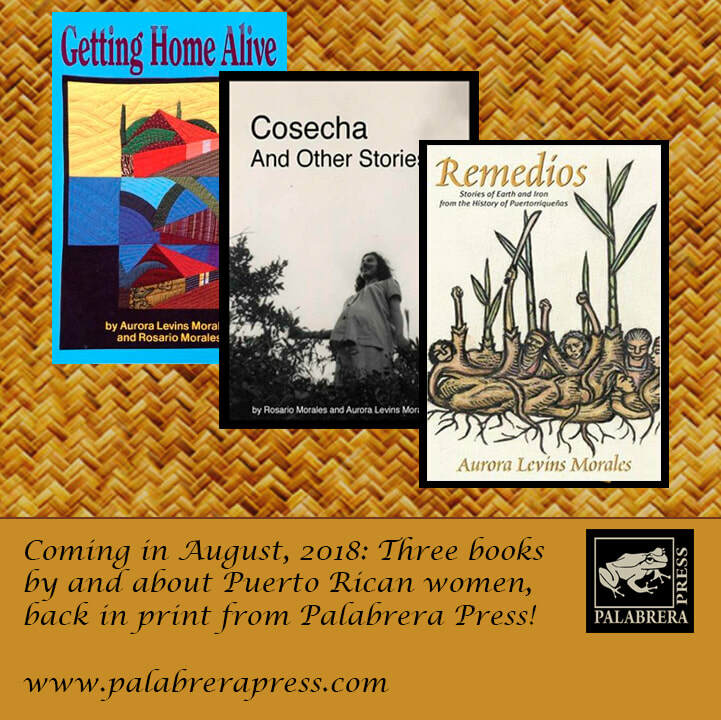 Palabrera Press is excited to announce new editions of two classic books, coming this fall. Getting Home Alive was first published by Firebrand Books in 1986, and was hailed as one of the most important books of the Puerto Rican diaspora in a generation. Co-written by the mother-daughter team of Rosario Morales and Aurora Levins Morales, it has been widely excerpted, translated and taught. We are releasing it this fall with a new introduction and updated photos. Remedios: Stories of Earth and Iron from the History of Puertorriqueñas was originally published by Beacon Press in 1998. South End press published a paperback edition in 2000. It has been out of print since 2014. This second edition has a new introduction.